All dates provisional and subject to change. Please be aware, some dates may be subject to change. How the winner is decided! 1st Wesham finisher in each race receives 1 point, 2nd receives 2 points and so forth. Men and women will be scored separately. There is no limit to the number of members who can score points in any one race. Lowest points total from 5 of the 12 possible races wins the Championship. In the event of a tie on points, places will be decided on a head to head count. If still tied the number of 1st places will determine the winner. Prizes awarded to overall Female and Male Champion and Vet categories. If a veteran finishes first in the Open he/she will be given that award and the veteran’s prize will be given to whoever comes second in the category etc. No person may win more than one trophy. Rob Danson had a Good Friday run in the Salford 10k finishing 4th in a race that was surprisingly not that fast. Danson clocked 31:33 and the winning time was only 31:03. 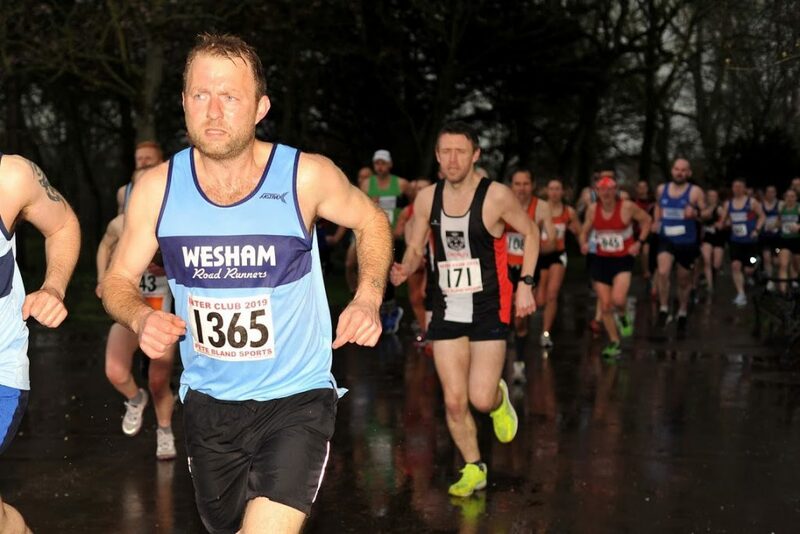 The finishing times were close packed up to 34 minutes (27 runners across the line), and Wesham’s Steve Littler placed 10th with 32:49 for 1st M45 and second master overall. Simon Denye ran excellently for 71st place in 36:21, 8th M45; Lee Barlow was 105th in 38:01, 14th M45; Chris Hastwell 116th in 38:26; Thomas Crabtree was 159th in 40:26; Stuart Clayton 272nd with 45:18; Martin Allison 339th in 49:25; James Danson (Rob senior) finished 362nd in 50:27; Peter Rooney 391st 51:42 and 14th M60; Jo McCaffery 452nd and 113th woman in 55:14, 15th W40; Kerry Eccles finished 441st in 54:39, 110th woman and 7th W55, a great result. Colin Smy was 458th in 55:26.